There are many reasons grandparents (GPs) have their grandchildren living with them. Parents of the children may be deceased or seriously ill, or other times, unwilling or unable to care for their children themselves. When parents have difficulties, such as substance abuse or significant mental health problems, Child Protective Services (CPS) may intervene in a family crisis. The court may then place the children with the GPs temporarily until the court makes a final decision. Courts seek placement with family members if possible, instead of placing them in foster care. When GPs choose to participate in a case of that nature long-term, a judge may give GPs custody or guardianship. Guardianship is generally granted in CPS cases, not in private child custody cases. 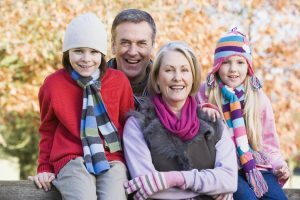 Guardianship is a very secure type of authority over a child and, unlike child custody, it is extremely hard to change based on any future circumstances. It is a difficult for GPs to straddle the line between helping the parent become a better parent when they are unwilling or unable to do so, and protecting the children. They face a conflict of interest or even guilt because love both their own child, and their grandchildren. This is rarely a choice GPs want to make, nor do they usually expect to be functioning as parents at retirement or other stage of life after being empty nesters. If CPS is not involved in the family’s lives, GPs might seek custody. The law does not give them much in the way of special rights when they seek custody of their grandchildren. They have the same heavy burden of proof as any other non-parent seeking custody. Courts require a heavy burden of proof because parents have constitutional rights to the care and custody of their own children. GPs, or any non-parents, must prove the parents have acted inconsistently with their protected status as parents. GPs cannot seek visitation with a child unless there is a pending motion to modify custody filed by one of the parents. Only then are they permitted to ask the court visitation rights, and the judge has broad discretion, and may order visitation as deems appropriate.